Want $100 to buy anything you want on Amazon and have a passion for stem cells? Then you are the ideal person to enter this blog’s new stem cell video contest. I’m looking for a video that will really make people think and perhaps learn something new. Outside the box thinking. Novel information. Humor. A cool new resource. A commentary or new view on things. All these would be good for this contest. A bit controversial is a good attribute too, but outright offensive is not. You can record the video with your phone, a camera, or whatever. The style is entirely up to you. It could be a video of you talking, someone being interview, animation, or pretty much anything having to do with stem cells. 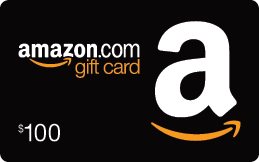 The best video submitted will be posted here and the winner will receive a $100 Amazon gift card from me. Email me at [email protected] and I’ll arrange with you for transfer of the video file. By entering you agree (whether you are chosen as the winner or not) that your entry may end up being posted on this blog and YouTube. Entries must be original material. The video cannot be more than 5 minutes long. The deadline is August 13 at midnight PST. The winner will be announced within one week of the deadline via their video being posted here on this blog. If I don’t get anything but what I view as uninteresting or otherwise not so great stuff, I reserve the right to not give out an award, but that’s not at all what I’m hoping or expecting will happen. If there is more than one guest blog post entry, I may award multiple prizes. That would make me happy!